Paul O’Connor returns to Briar Patch Books with a review of a book published in the spring of 2016. PAUL MCCARTNEY: THE LIFE. By Philip Norman. Little, Brown and Company. 816 pages. $32. For those Americans of a certain age, The Beatles represent more than music. The reaction was immediate and explosive. Beatles’ songs jumped to the top of the charts, and Beatlemania consumed the American consciousness. The Beatles changed our music, our hairstyles and our dress. But most important, they lifted our spirits. That’s because they came along just a few weeks after the assassination of President John F. Kennedy, and even a seventh grader, as I was at the time, could tell that this Christmas had not been as joyous as all of those before because of that. Veteran music industry reporter Philip Norman was not as much the McCartney fan as I. To the contrary, in writing an earlier biography of John Lennon, he had become associated as a Paul critic. 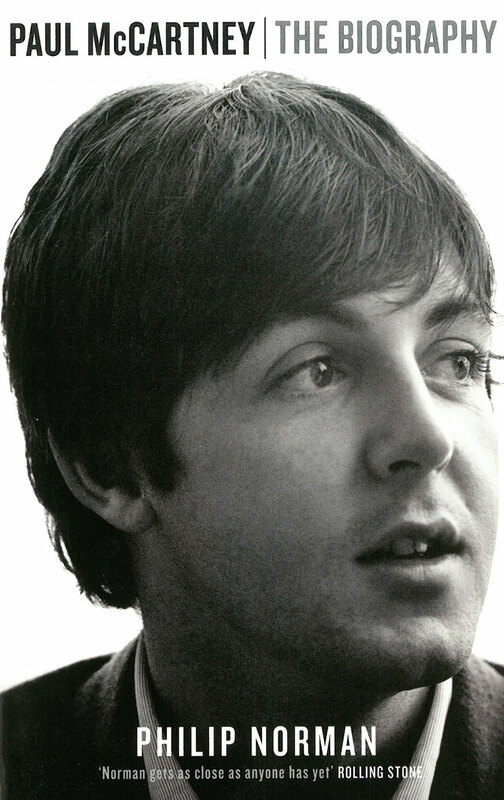 When the opportunity arose to write about Paul, he knew better than to seek McCartney’s assistance, settling happily, for the performer’s simple lack of opposition to the project. For a fan who did not follow the Beatles ‘ inside story, preferring just to listen to the music and ask, “Why can’t they just get along and make more great music?” this book explains what happened to break up the world’s most successful band ever: money, musical preferences, ego and Yoko Ono. And Norman tries his best to explain how, in the years after the break-up, John, Paul and George seemed both to love and hate each other at the same time. The author is also able to provide so much more a complete portrait of McCartney than one would get from the occasional news feature or TV news spot. He was generous but parsimonious, gracious but petty. He smoked too much pot, was a doting father, a loyal son and brother, he cheated on his girlfriends but not his wife. You like the McCartney portrayed here, but sometimes you don’t. Norman has produced a definitive and authoritative professional biography. For those who follow celebrity news, it’s full of information about bass guitars and back-up musicians, drugs and jealousies. Those who don’t will probably find that the book drags after midpoint. Norman was confronted with a quandary biographers sometimes face, a story in which the protagonist climaxes so early in life, about 30. Sure, there were Linda, Wings, the Lennon murder, the Japan arrest and jailing, the Heather Mills marriage and divorce, all of which are great stories and would be enough, if they happened in someone else’s life, to justify a biography, but … little of that meant as much to me, and I would assume to other readers of my age, as the accounts of The Beatles and Sgt. Pepper, Abbey Road or Penny Lane, or how they lifted us out of the post-assassination sadness. Paul T. O’Connor is a longtime newsman – political reporter, columnist and editorial writer in North Carolina. He also taught at the UNC School of Media and Journalism. This entry was posted in Biography and tagged Beatles, Paul McCartney. Bookmark the permalink.